Did you know that half the oxygen you breathe is provided by the earth’s oceans? Covering over 70% of the world’s surface, the planet’s blue lungs are key to our survival. Sadly, we don’t treat them like the lifeline they are. Today plastic contamination is one of our most pressing environmental issues. And, with plastic production set to soar over the next thirty years, we need to take action now to protect the planet for future generations. The good news is that you can help. Start you own ocean plastic clean-up by ditching your traditional household cleaners (responsibly) and use eco-friendly ones instead. But why should you make the change? Here are five signs the planet needs our help and why traditional cleaners are not the best way forward. How does your use of household cleaning products result in sea levels increasing? Using traditional, diluted cleaning products requires bigger bottles. Bigger bottles mean more trucks. More trucks on the road means more CO2 in the atmosphere and more CO2 means global warming, melting ice caps and higher sea levels. Studies show that future generations will have significantly less habitable land, both in the UK and globally, and that they will have to deal with more extreme weather patterns. The solution is to look for concentrated eco-friendly products or products that provide refills which are smaller to transport. Smaller loads mean fewer trucks and less CO2 and less CO2 helps to control climate change. Plus, you’ll also have fewer motorway tailbacks to contend with. Check out our refill sachets. Making plastic bottles uses 8% of annual global oil production. It’s used as a raw material but also as a fuel for the manufacturing process. Not only do these processes release CO2 into the atmosphere, they also trap carbon-rich fossil fuel in the plastic bottles we use. As we discard these bottles, the polymers break down releasing greenhouse gases. This heats up the earth’s atmosphere and warms our oceans at the same time. While warmer seas sound pleasant when you live in the UK, this is problematic for marine life. As habitats disappear, ecosystems are imbalanced resulting in plant and animal extinction. And what’s bad for the planet is bad for us. 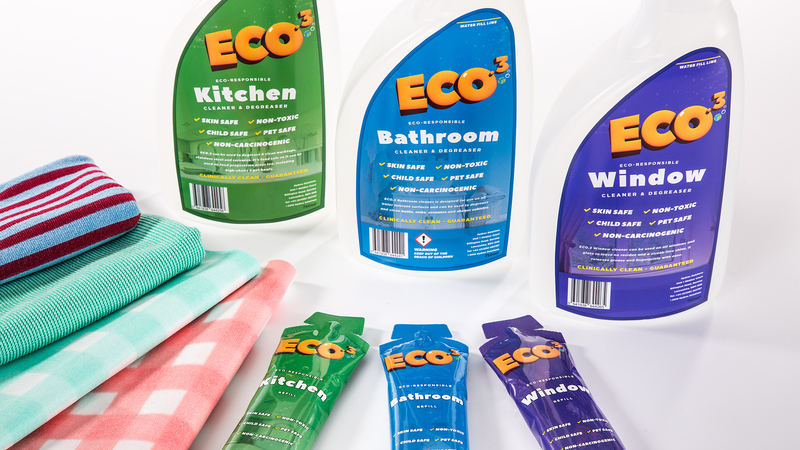 Many eco-friendly cleaners use bottles made from recyclable plastics. By recycling your plastic bottles, you can help reduce landfill and decrease the amount of oil being used to create new plastic from scratch. Visit any British beach this summer and you’ll see tonnes of plastic washed up on the shore. 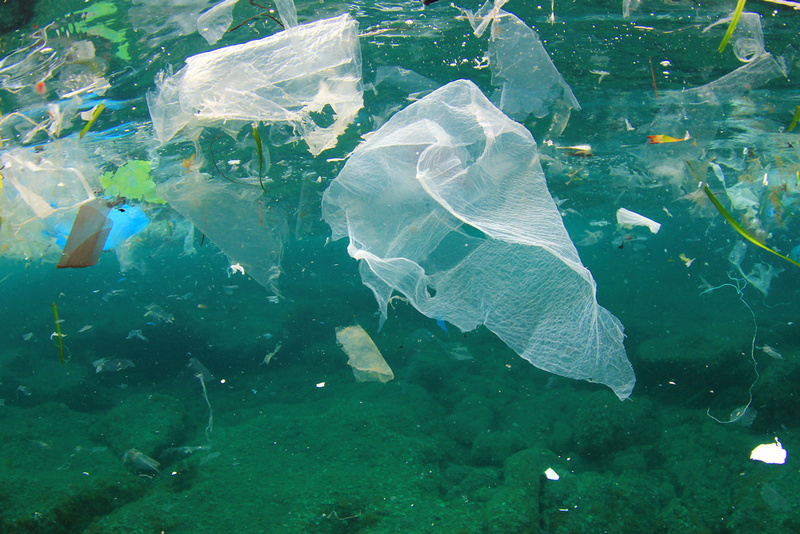 Much of the plastic that ends up in the oceans is used only once. Plastic bottles are the third most common ocean polluter with drinks bottles expected to last around 450 years in the sea. Some scientists believe plastic, particularly in deep or cold water, may never completely disappear. Using traditional single-use cleaning products contributes to this issue. While recycling these bottles is one way of solving this problem, better still is to use eco-friendly cleaning products. Many are contained in reusable plastic bottles that you can top up and keep using for years. While large pieces of plastic are a visible issue, plastic micro-beads are less obvious. These tiny plastic drops are used in household cleaners as well as personal cleansing products like face scrubs and toothpaste. These beads leach contaminants into the oceans which poison our waters and, because they are so tiny, they are easily swallowed by fish. Having plastics in the food chain is bad enough. What’s more frightening is that once ingested, these man-made materials become even more toxic. Luckily, you can stage an ocean rescue from home by supporting more eco-friendly manufacturers. Using non-toxic, biodegradable cleaners means they can be safely used and washed away to ensure you aren’t harming your family, pets or aquatic life. The unregulated chemicals in our household products not only pollute the oceans but our homes as well. It seems contradictory that cleaning our homes could make them less safe. But studies show that the chemicals accumulating in wildlife are now contaminating us. Even household dust now contains toxins. Old-fashioned, traditional cleaners release volatile organic compounds and other chemicals. This toxicity can disrupt our hormones and damage the nervous and immune systems. It also impacts organs such as the lungs and skin contributing to chronic respiratory problems, allergic reactions and headaches. Prioritise your family’s health and look out for eco-responsible cleaners that are non-carcinogenic and non-toxic. Some are just as effective as normal household cleaners. Because they don’t contain colour or perfume or leave any residue, they are food, water and skin safe. 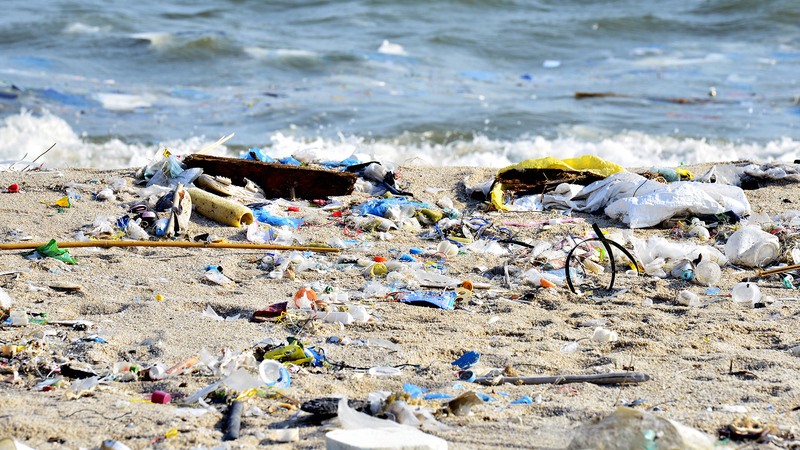 Ocean plastic clean-up is key to the survival of our oceans and the marine life in them. Taking steps to reduce your plastic and chemical footprint is easy. By switching to eco-friendly alternatives not only will you help save the oceans for future generations but you’ll protect the health of your home and your family today. Instead of purchasing single use disposable plastic trigger sprays and bottles and throwing them away each week, why not consider purchasing a multiple-use bottle or trigger spray designed to be refillable that comes with a lifetime guarantee? Get yours now! Why We Love Ocean Rescue – And You Should Too!